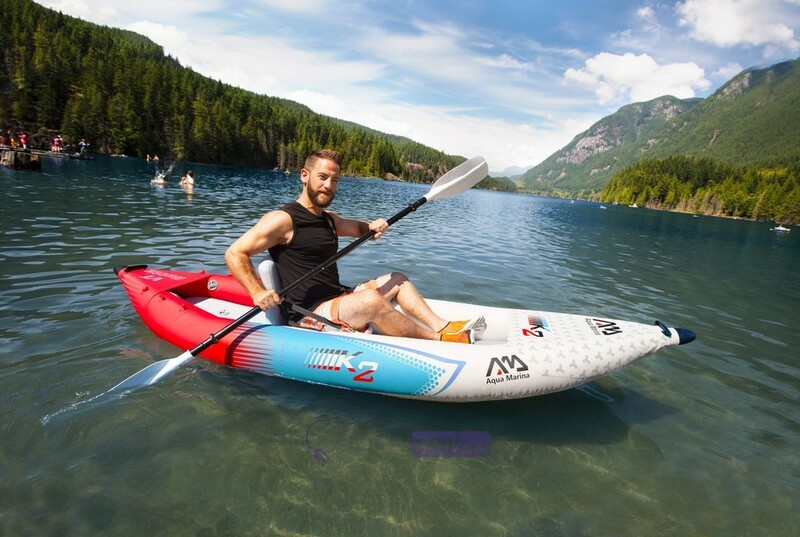 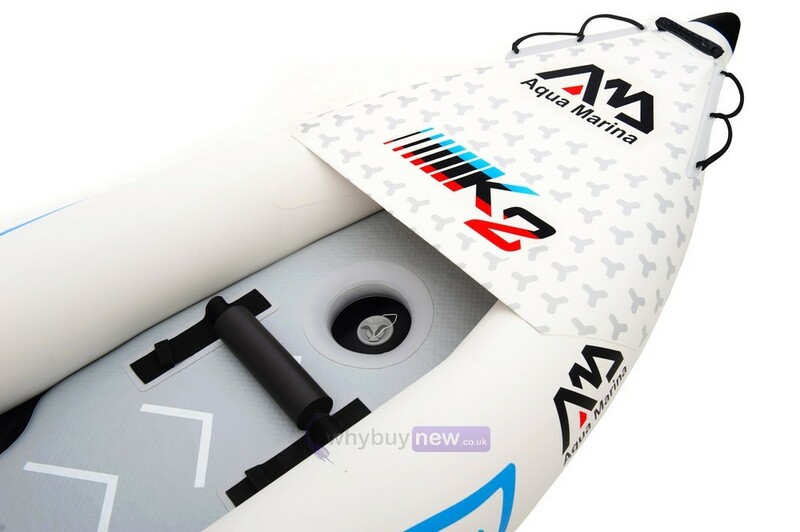 Aqua Marina Betta VT K2 one person inflatable kayak is the semi-professional quality kayak, suitable for all water riders. 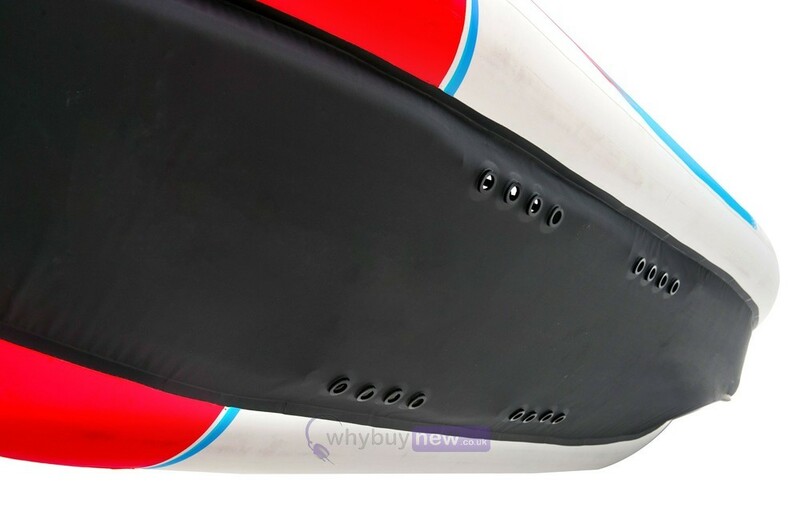 It is made from reinforced multi-layer PVC material, which is very strong and durable. 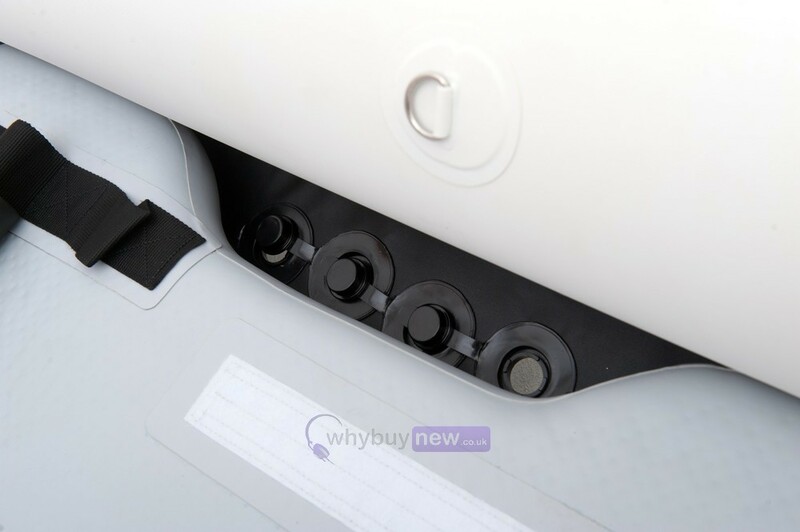 During production, emphasis was placed on stability, manoeuvrability, safety and performance. 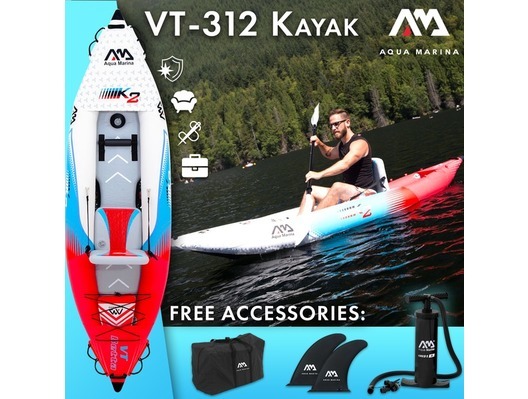 Package includes the hand pump, carry bag and fixing kit (paddle not included). 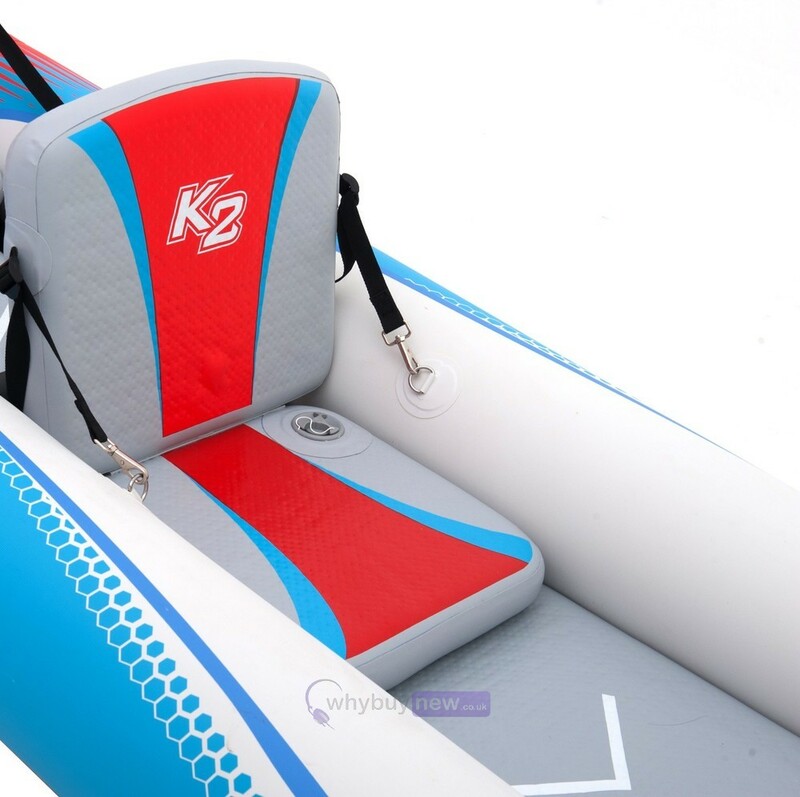 This kayak can be used for recreational riding on calm water and in the wilder waters, rivers or lakes. 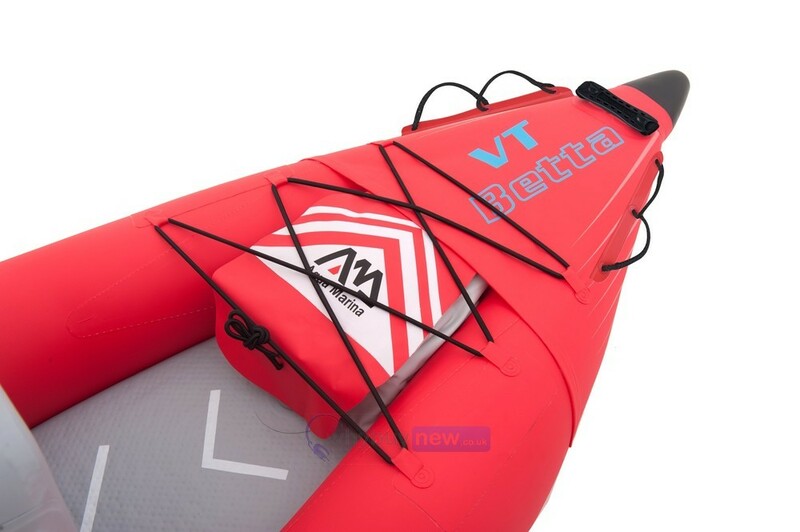 Nine shut-off valves ensure drainage of excess water and are therefore suitable for wild water up to 3rd class.The advantage of an inflatable kayak is the easy preparation. 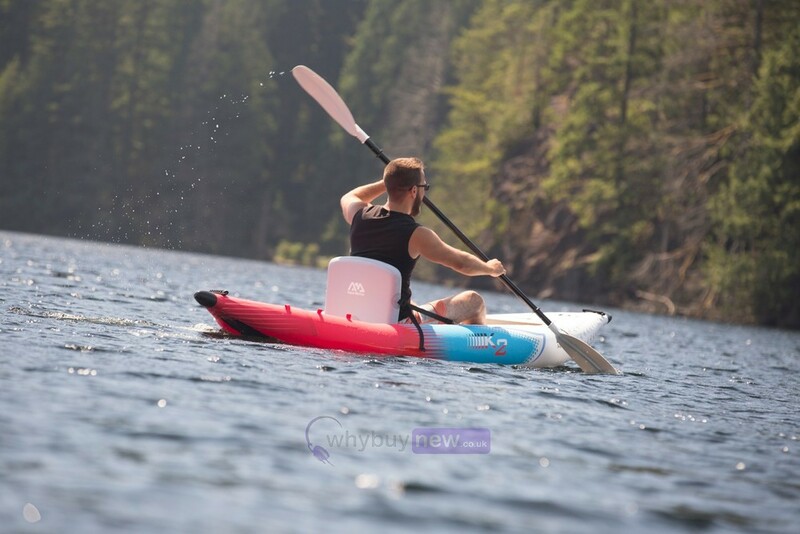 Simply unpack, inflate, attach your seat cushions and ready to use. 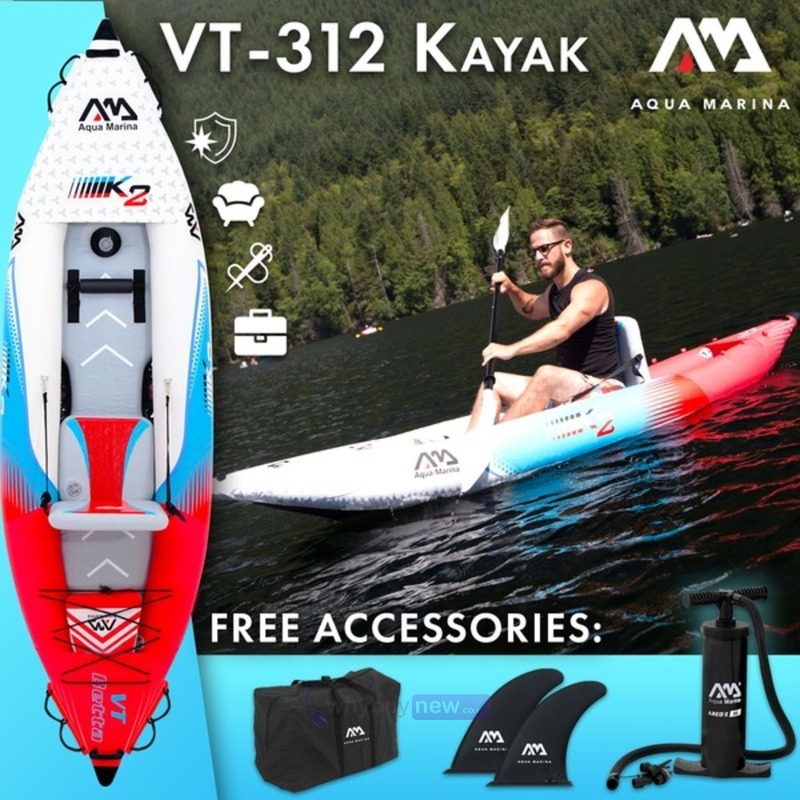 The kayak takes almost no space and can be easily transported in the attached bag.The inflatable kayak Aqua Marina Betta VT K2 is equipped with a comfortable adjustable seat, fin, leg support and a place for storage of various security features.You will also find a pump and a repair kit in the package.